David Sharpe, is President, Co-Founder and top producing affiliate and six-figure monthly earner of Empower Network, along side his partner, Co-Founder CEO and top affiliate of Empower, David Wood. Empower Network (EN) has, as of November 2012 – 60,000+ customers and thousands of affiliates who promote their products and services, and has paid out over $16 million in it's first year in commissions through a pass up Uni-Level compensation plan. $16 million in commissions can be compared with $45+ Million in sales revenue in a traditional MLM company. The global head offices are in St. Petersburg, Florida, USA with a staff of 35+ employees, and another 10+ team members around the world. David Sharpe found entrepreneurism the hard knocks way. His early years were spent on the streets, where he learned a lot of life's lessons the hard way. From hardship and struggle, to homelessness and addiction, David has persevered and overcame some of the the most difficult situations a person can face. He eventually beat the odds, changed his life, and has now gone on to help and inspire tens-of-thousands of people around the world to overcome their personal struggles and strive to reach their business and personal goals. David's aggressive and effective marketing style has earned him the recognition and respect of leaders and marketers around the world, and he has become one of the highest paid and most watched marketers in the industry today. Ted Nuyten had the honor to interview David. David, how did you got involved into MLM, who invited you and why did you accept the invitation? I was actually invited to my first home meeting when I was about 22 years old. I was working for a telemarketing company, and a lady approached me with the classic line, hey David, I've been watching you for the past few weeks, and you look like a sharp person — do you keep your business options open? Her approach with me worked, and later that night I found myself at her house watching her draw circles on a whiteboard — ever since then I've been hooked on our amazing industry. How did you meet David Wood, and how come that you teamed up with him for Empower Network? We met through another company, online. In the summer of 2011 he was having an event at his house in Costa Rica and he invited me down. I almost didn't go. Last minute, I hopped on plane and flew down there. We immediately clicked, and started talking about the problems people were facing making money and having success in their business — and a way that we could solve those problems. From there, many late night caffeine driven conversations followed, until the vision of Empower Network came onto focus. Once we had it, we didn't ask questions and we didn't worry about how we were going to make money — we just had a vision and knew things would fall into place. So we focused on one thing and one thing only: building a company that would help the average person win in their business. And from that idea, the Empower Network was born and the rest is history. Many consider Empower Network as just a blogging website but it is much more, what can you tell us about EN? Yes, it's much more than just a blog website. We've actually turned into one of the largest blogging communities and publishing platforms on the internet, with close to a million visitors coming to our website and reading and engaging in our content each day. We have people using our blogging platform to publish all kinds of content. We have people blogging about other businesses, hobbies, religion, and even really inspirational stuff like their personal stories and experiences. It's really been cool to see how members have used the community and training to get inspired, and then the blogging platform to express that inspiration with others. We also offer some of the most high-level marketing training courses from some of the most successful marketers in the world. And all of our training is digitally delivered online so customers can access training courses immediately once they buy. And of course, we have a unique and profitable 100% commissions affiliate program that gives newbies a chance to profit quickly, and leaders a chance to earn what their really worth! With an Alexa Rating around 400 Empower Network is getting approx. 1 million+ hits per day, are you surprised by the success? What I'm surprised about is the sheer amount of people who are having success and getting results with our products and affiliate program. 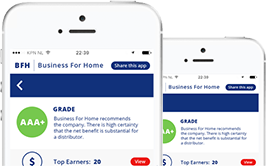 I've had person after person post, share or write in about how they've never made money before, but since joining Empower, for the first time ever — they're having success and getting results in their business. 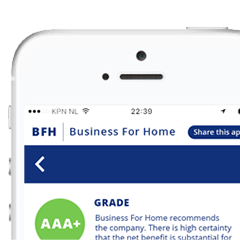 Whether their applying what they learned in one of our training courses to another business or promoting our products in our affiliate program and making money, the feedback and social proof that what we're doing works is all over. It's actually become to difficult to keep up with all the success stories, and everyday a new name is popping up on our leader boards or with a new testimonial about how they made money, had a business breakthrough with our training, or is excited about how simple and powerful our blogging platform is. What in business operations is your biggest challenge? The biggest challenge is actually keeping up with our growth. When your growing so fast, you typically can't hire fast enough. We've actually approached building an internal corporate team just like we build and support our team in the field as marketers. We focus on culture, talent and speed. To be more efficient and error free, we hire slow and fire fast. We only want A-Players working at Empower — because we believe to stay innovative and cutting edge, talent is not a place to slack. There's always things to learn and changes to make, and we don't ever claim to be perfect at everything, but we've worked extremely hard to support our members, pay our affiliates on time and correctly, and give them the right support they deserve as entrepreneurs and marketers. How do you finance your corporate operations if Empower Network is paying out 100% commisions? We get this question a lot — it's funny. I think there are people out there who actually think there is something magical behind the scenes that happens to pay for our 40+ employees, offices and tech, legal and financial resources. But there's nothing magical at all. We charge a simple $19.95 monthly and non-commissionsable affiliate fee to all affiliates who promote our products and services. We also have several other revenue streams where we make a small profit on a high volume of transactions. The good news is: we are debt free and cash-flow strong. Dave and I didn't take a salary out of the company for several months when we launched, because we invested our personal company profit back into the company. We've also been making six-figures a month as affiliates of Empower Network since we launched, promoting the products and services exactly like the rest of the affiliates do, which has allowed us to focused on our people, our teams and our company. A pass up compensation plan is new in network marketing, who came up with this innovation? I actually don't know who came up with it originally, but what I like about our comp plan is that someone doesn't need a really huge team to earn a six-figire income. That's exactly how we wanted our comp plan to work. We wanted to make it much less difficult for someone to earn $10,000 a month than what we had to do in other companies. And it turns out, it has worked extremely well. Is the Badass and No Wussy Allowed a marketing strategy or is it the culture? It's not really a marketing strategy — it's that we want a company where people can feel comfortable being themselves. If they earn the right to be on stage, and they feel compelled to say badass in their speech, we want them to be able to do that. For many people, what they want more than anything is to feel a part of something great, without all the pressure and expectation to act a certain way or say a certain thing. We've had countless people express how nice it is to loosen up a little bit and have some fun while building their business with us, and that's the energy that we like to create at Empower. Recently Facebook blocked Empower Network links, can it be solved? Maybe one day. We're not worried about it right now. It hasn't slowed down growth one bit. I think they mis-understood what and who we are. Besides their issues with affiliate and network marketing as a whole, like I said — I think they mis-understood that we are growing to be one of the largest blogging communities and publishing platforms on the internet. Once they take the time to actually look at who we are and what we're doing — I'm confident they'll change their perception of us. Our ultimate goal is to tun our initial negative experience with them into the opportunity to shine a positive light on our profession as whole, and bring some positive publicity to our industry — which is why we have approached our relationship with Facebook with the proper discernment. 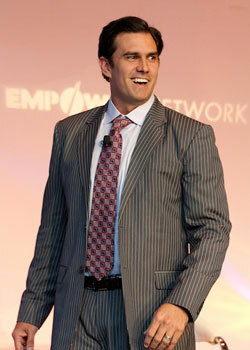 What are the Empower Network plans for the future? We have some really exciting times ahead. Our immediate plan is to have another successful affiliate event in Austin, TX the weekend of January 18-20 with over 4,000 affiliates. We also have some other very exciting product roll-outs and enhancements to the blogging platform coming very soon, as well as new ways to help our affiliates make more money. On the company side — we're going to stay focused on expanding our tech, corporate and support teams to support our growth and innovation. And Dave and I plan to stay focused on our teams and marketing, and helping our people get the results they want and deserve. Any success tip for a newbie? 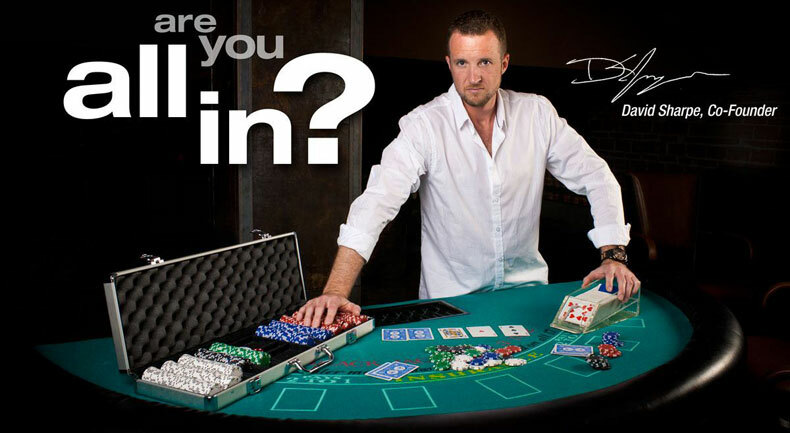 Yes — get all in and follow the Empower Network 8 Core Steps found in the back office. And if you're an affiliate, focus on getting 2 sales a day of the $25 blogging system. That's it. If you do that consistently, everyday, our system will work for you. If you don't follow our directions, I can't promise results, of course. The next thing I'd say is keep it simple, and remember the 80/20 rule. 20% of your efforts will make 80% of your income. Find out what that 20% is, and do more of it. (hint: for me, that 20% is marketing and creating content). Lastly, find out what your good at and focus on that only (at first). If your better at talking, focus on shooting videos and post them to your blog, daily. If you're better at writing, write blog posts and post them to your blog, daily. If you're brand new, figure out which of those fits your personality, and just take action. Start there, and then dig into our training products and learn the more advances strategies and secrets top marketers are using to make big money online. What you need to be successful is already inside of you. At Empower, we'll help you learn how to find that hidden goldmine inside of you and use it to make a living, and live your dreams — and then inspire others to do the same!